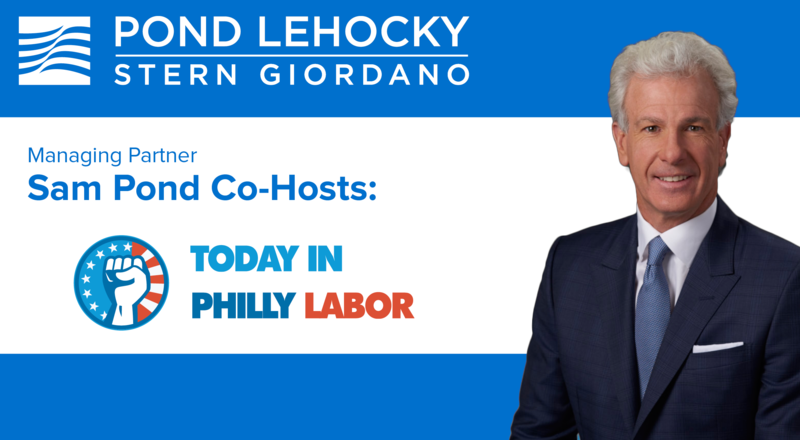 On Saturday, October 28th, Managing Partner Sam Pond co-hosted The Labor Leaders Roundtable on Saturday Night Live with Philly Labor Radio. The show featured special guests Mr. Jim Gardler, President of the Communications Workers of America (CWA) Local 13000; Mr. Fred Wright, President of the American Federation of State, County and Municipal Employees (AFSCME) District Council 47; Mr. Kevin Boyle, Business Manager of Ironworkers Local 401; Mr. Rich Lazer, Deputy Mayor of Labor for the City of Philadelphia; and Pennsylvania State Representative Ms. Morgan B. Cephas, 192nd Legislative District. Roundtable participants discussed anti-labor legislation efforts and the ongoing need to protect workers’ rights. The group talked in-depth about the need for more civic education and greater involvement from all citizens, young and old – starting with increased voter registration. “Participate in that sacred right to have your voice heard via a vote,” Mr. Pond urged listeners. Other topics covered included the need for diversity across the board in politics, trade and industry. “We have a city that’s very diverse,” Mr. Pond said. “We have to engage diversity and really make it a top priority.” He discussed Pond Lehocky Stern Giordano’s ongoing status as one of the most diverse firms in the region, and their continual efforts to attract and hire highly qualified associates from varied backgrounds to better serve the firm’s equally diverse client base. Saturday Night Live with Philly Labor Radio is a weekly talk radio show that airs every Saturday evening at 7:00pm EST on TALK RADIO 1210 WPHT, hosted by Mr. Joe Dougherty Jr. (PhillyLabor.com) and Mr. Joe Krause (Jakib Media). The show presents an insider’s look at the Philadelphia area labor movement and tackles labor related issues that affect working people every day, including workers’ rights, legislative issues and more. Pond Lehocky Managing Partner Sam Pond Co-Hosts Labor Leader Roundtable.